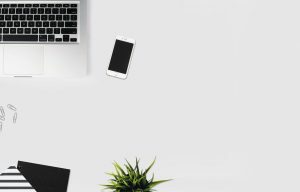 The idea of working from home sounds easy enough, but unless you take steps to make sure you have a productive setup, then you might find that you’re spending many hours sitting down to work without achieving all that much. To make sure you’re able to get the most from your business, it’s important that you have a dedicated home office. But there’s good news: this isn’t all that difficult! Below, we take a look at some essential ingredients which, all put together, will give you an enviable home working space. You’re not going to get all that much achieved if you’re working from your kitchen table. You connect that place with relaxing, family times, and so on, when what you need is a space that makes you think ‘business.’ If you have a spare room, then the search is over: you’ve got an office right there. You’ll make more use of an office than you would a guest room (how often does that get used, really? ), so don’t worry too much about transforming it to a working space. Once you’ve identified the space, you can begin making it business ready. If you’re an online business, then it’s imperative that you have a high-quality laptop or desktop computer to do your work, as well as a fast internet connection. You’ll also want to invest in a desk and chair set up that you’ll be able to spend long hours working at. If you have an uncomfortable chair, then you’ll be up and moving around all the time – ideally, you don’t want to even think about where you’re sitting. Also have a think about what your software and programs; cloud storage, for instance, is a great way to keep your important documents safe. There are a bunch of tools that’ll help you with things like tax, accounting, invoicing, and so on. Your business might be mostly online, but like any business, there’ll be times when you need extra supplies. Think of all the supplies that you’ll find in a regular office; one day, you’ll need to use them all yourself. So look at putting together a drawer of all the things you could feasibly need, such as scissors, pens, a selection of gaffa tapes, binders, envelopes, and other office essentials. It’ll help you to keep things ticking over smoothly. Organisation is an underrated aspect of working efficiently. When you work in a traditional office, the organisation is taken care for you. When you work from home, it’s up to you. If you have more pieces of paper than you know what to do with, then look at setting up a filing system. You’ll also be well-served by keeping things tidy. Your home office can get pretty messy relatively quickly if it’s left to its own devices. Though having said that, some people enjoy the madness of a disorganised office, so maybe it’s up to you to discover what works best for you!